Enjoy our EPIC Autumn Offer of $139 per person for booking dates made between now and until end of May 2019. 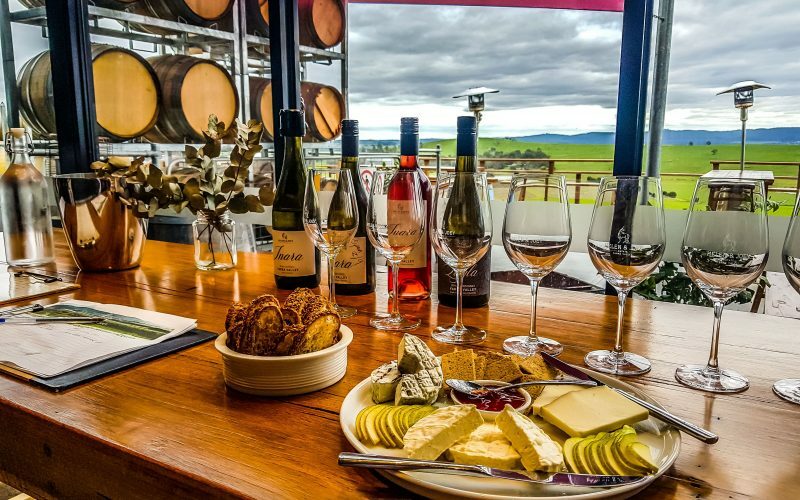 An Epic Yarra Valley tasting tour that’s fully inclusive for your convenience and peace of mind. Enjoy a seasonal gourmet main course lunch with a glass of wine at a winery (fees included). Taste a variety of wines at 3 premium boutique wineries (fees included). Try hand-made cheeses at Yarra Valley Dairy (fees included). Visit Yarra Valley Chocolaterie & Ice-creamery (complimentary samples available). Quench your thirst with a glass of beer or cider of your choice at Napoleone Brewery (fees included). Experience our fun & knowledgeable local tour guide. Appreciate the convenience of a central pick-up & drop-off location in Melbourne. We operate every Monday to Friday. In front of St Paul’s Cathedral located on 208 Flinders Street. Please meet near the steps area at 9:35AM. We aim to get everyone ready to go by 9:45AM. Keep scrolling down to check out our Weekend package. All our Yarra Valley tasting tours are fully inclusive for your convenience and peace of mind. Visit the famous Domaine Chandon for an exclusive “Sparkling Selection” tasting valued at $20pp. This is a privately guided tasting of their 4 signature sparkling wines followed by a full flute of your choice to enjoy in their lounge or vineyard garden. Enjoy the diverse wines of the Yarra Valley at a further 2 premium boutique wineries (fees included). Enjoy locally made cheese platters with nibbles at both boutique wineries during your guided wine tastings (fees included). 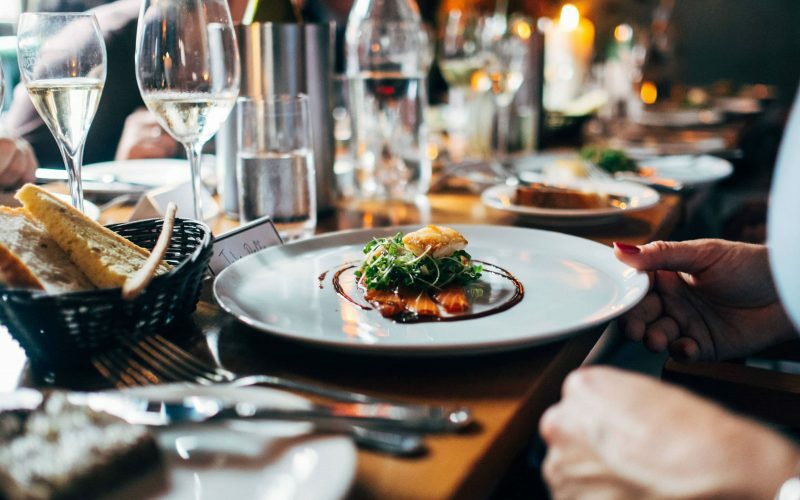 Lunch at a beautiful winery where you’ll feast on a shared meat and cheese charcuterie board with a tailored wine tasting followed by a seasonal gourmet main course lunch with a glass of wine (fees included). Quench your thirst with a glass of beer or cider of your choice at Napoleone Brewery & Ciderhouse (fees included). Simple convenience of a central pick-up location in Melbourne. "This was one of the best days of our trip! Sean is extremely knowledgeable and enthusiastic about wine which really gets the day going. The vineyards he chose for us were spectacular, with fantastic wine and views of the valley. I would highly recommend for anyone, no previous wine knowledge necessary!" "Our family loved this tour!! Sean was a marvelous host, tour guide and ambassador for the Yarra Valley. He is knowledgeable about the area and he truly loves his job. The wineries were all good and we bought wine, cheese and chocolates. The location for our lunch was delicious. We would definitely go with Sean and Dancing Kangaroo again on a wine tour when we visit Melbourne." "Our friendly and knowledgeable tour guide, Johnson, gave everyone attention, guidance and confidence. The tour was a full day thing with lunch included and wasn't lacking in food, drink or bathroom breaks. Just a terrific time had by all!" "Four girls over from NZ and wow we had an amazing time.. the day was filled with humour from our guide and so much wine in a relaxed and beautiful place. The scenery and lunch were perfection. Cannot recommend this tour enough, you certainly get your money's worth!" "Great day out with our host Johnson who had so much knowledge of the area and was so full of life. Some yummy wines tasted along with cheese, chocolate, beer & cider and ice cream with the most amazing lunch in between. Thank you so much Dancing Kangaroo Tours, would highly recommend your services to fellow travelers." "Absolutely sensational day! Thanks so much! Sean you are amazing. You created a connection with all of us instantly. Your knowledge of the history and the wineries as well as the local area is brilliant. I will definitely be recommending you to my friends! If I am ever back in Melbourne with a day to spare I would love to do this again."